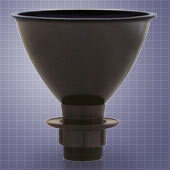 Polypropylene laboratory cupsinks, traps, and pipe fittings are available from Insul-Serv, Inc (Total Lab Solutions) in a molded, one piece seamless construction of a blend of virgin polyolefin's, (polypropylene and polyethylene) with 3% carbon black ultra-violet stabilizer. The black polypropylene raw material conforms to the code of practice CP312: Part 1:1973, that provides a guideline to the chemical resistance of polypropylene. 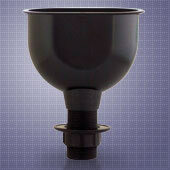 Fittings are injection moulded and pipes are extruded. 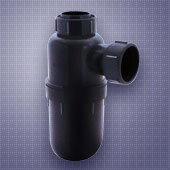 All these features ensure corrosion resistant products with an effective yet economical waste drainage solution in a laboratory and testing facilities in both the United States and the International market. In addition to its high chemical resistance, polypropylene is stable over a wide range of temperatures, ideal in a construction environment due to its high impact strength, fit for outdoor installation as it is UV-resistant, and provides easy system design due to its low pressure drops. These polypropylene products are designed for a non-pressurized gravity based-system leading to the safe discharge of corrosive fluids in a laboratory. 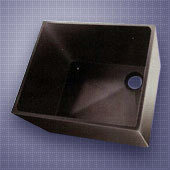 A wide variety of single and double bowl sink units are available with integral 1.5" pipe thread outlet. Round and oval cup sinks, traps, pipe fittings, and other components used in corrosion resistant environments are offered by Insul-Serv with imported product from Singapore. 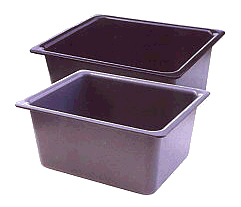 The imported /exported products are of high quality, consistent workmanship, and priced at a competitive advantage against higher priced U.S. produced scientific polypropylene plastic sink products. All our polypropylene products are produced in an ISO 1991:2000 Certified facility.